From the bicycle your kid grew out of to the cool leather jacket you bought on a whim but only wore a few times, are you looking to get rid of some of the clutter in your home? If the answer is yes, why not make some cash from these items with a few simple clicks on your smartphone? People looking for a great deal can also use these apps to buy secondhand items in good condition for a significant discount off of the retail price. Some items may even be unused with the tags still on, which often happens when people receive gifts they don’t need and decide to resell them. Following the belief that one man's trash is another man's treasure, there is one popular, user-friendly app available right now on the iOS platform that makes selling and buying items a breeze. We’re talking about Vendr, the first cashless local marketplace app. What is Vendr & How It Works? 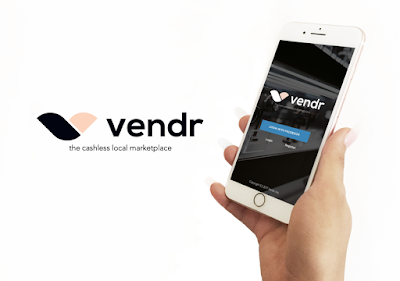 Vendr is an easy-to-use, simple, efficient and feature-rich tool that lets you buy and sell things locally, completely cashless. This revolutionary shopping app is compatible with iPhone, iPad, and iPod touch and offers high-quality user experience. It works really simple: if you’re a buyer, simply look for what you need, reserve it, pay the seller through the app and wait for your item in the comfort of your home; if you’re a seller, list your product, setup your delivery fee and get your funds within 20 minutes after the exchange. Vendr also has an option for video and audio calls, so that the buyer can see the product without having to drive to the seller. You will no longer have to share personal info or go through awkward bargaining on the spot, driving to an ATM before a pickup or being nervous about carrying large amounts of cash to a stranger's place. If you want to download the Vendr app, click the App Store’s link below and get it for free. For more useful info, go to the app’s official website.